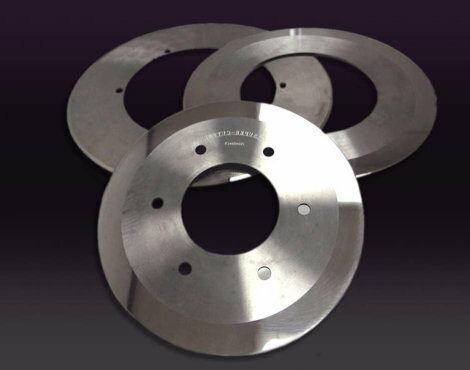 Our slitter knives are used in ISOWA Corporation and Mitsubishi Heavy Industries' corrugating machinery. 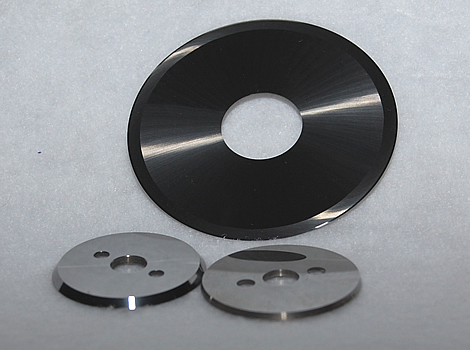 We have independently developed our own superfine-tungsten carbide, which has a high degree of hardness and a very long lifespan. It is over 10 times more durable than steel. 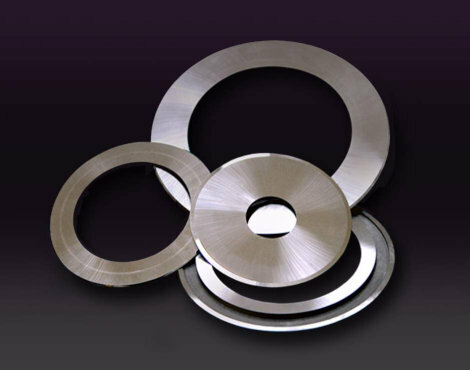 Used for cutting things such as magnetic tape, cigarette filters, aluminum foil, and plastic film. Consult with us about dimensions and shape.